Personally, I don't own a gym membership because well, I don't go to the gym. My daily dose of exercise is obtained from my bicycle ride to and from work. However, this deal is a great idea for you gym buddies out there. 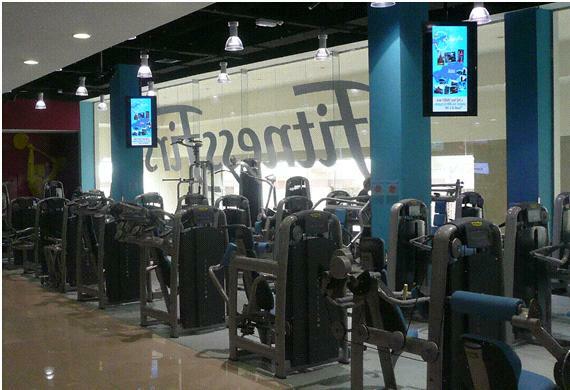 A gym membership with Fitness First in Singapore costs you approximately $140/month. 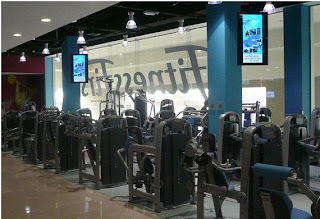 You also probably chose Fitness First over the other gyms because of the global access nature of their membership. In Lifehacksg#2, we reveal that you can obtain a half price membership simply by signing up for a membership at any of the locations in Malaysia (now we choose Malaysia because you can easily do a day-trip to Klang). You effectively pay almost the same amount, except in a different currency denomination. When you convert that payment back to Singapore dollars, you save nearly half of your monthly membership fee! Let's do the math - we're looking at annual savings of $840. Now as you tone up those muscles of yours, don't forget how Lifehacksg toned up that wallet of yours too. You're welcome. Thanks a lot for this. I am seriously considering joining ff as its only 5mins from my work place but was held back for its high membership fees. getting gym membership in half of the prices is going to grab many of the customers attention. With this many of the customers are going to avail the gym services and will remain fit. I heard someone doing it but aint sure how he can renew the 'passport' without going to KL personally. Anyone can share ? Is it still? I also want to try that gym. But to expensive. Specially now. It reach almost 170 hopefully Still can. Anyways thanks for the info. Hi, anybody who tried it and worked? Thanks! I dont think it will as FF international passports are limited to 30 visits a year. Ive been a FF member in Australia for many years and i pay $80 p/mth for a Platinum membership. I enquired and this was what i was told unfortunately. I assume Malaysia is the same.